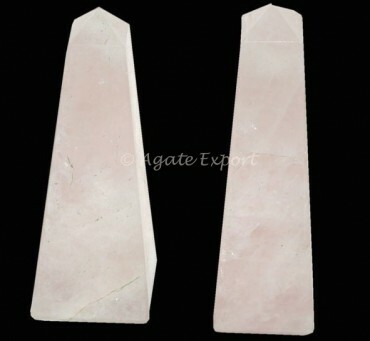 Rose quartz tower point can be kept around during meditation. It provides peace of mind. It is used in massages for healing purpose. You can get this tower point from Agate Export. It is 3-4in in length.